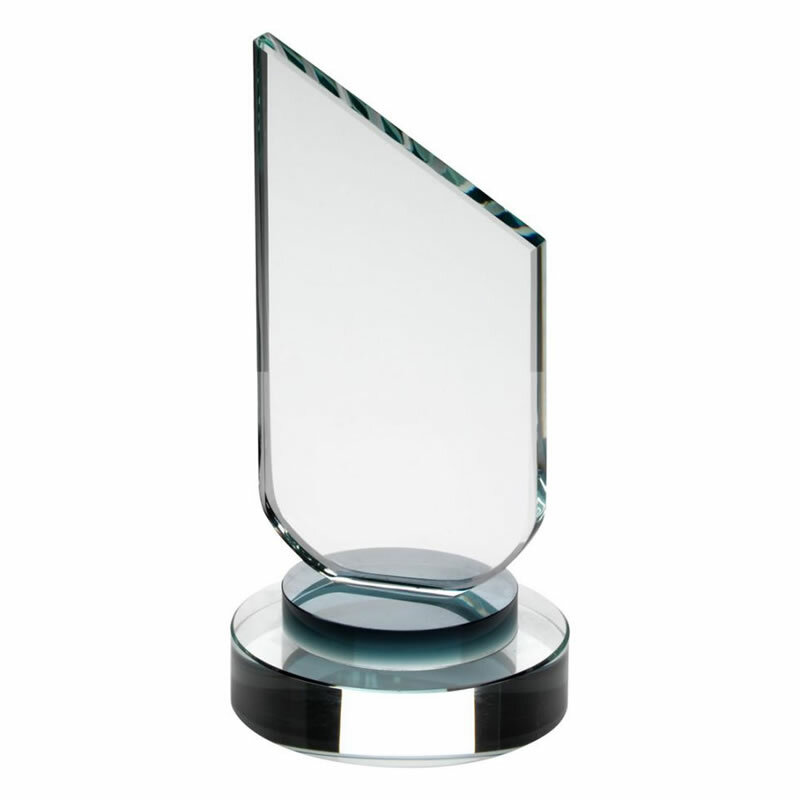 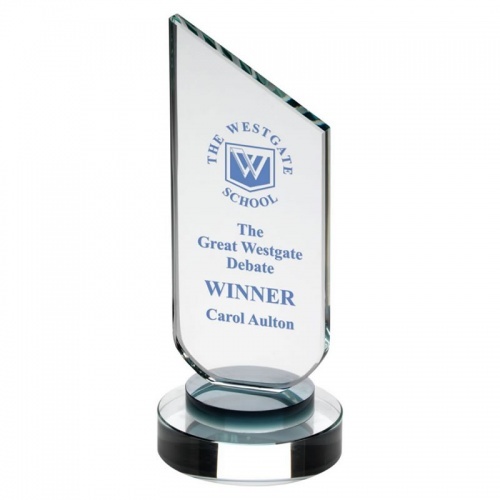 Premium quality glass award made in 10mm thick clear glass plaque with sloping top and rounded base, set on a circular glass collar and mounted on a circular clear and black glass base. 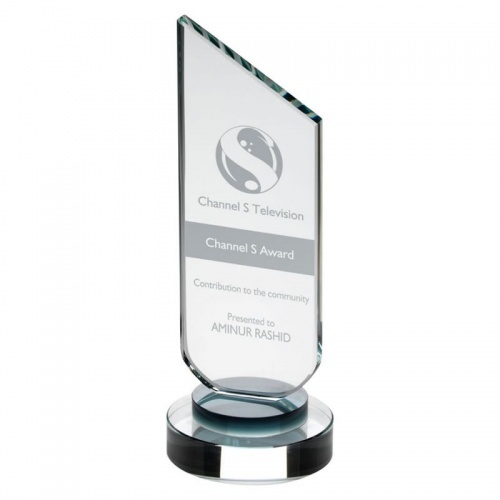 Supplied presentation boxed and offered with both text/logo engraving and/or colour print option (use Request Quote tab for colour print options). 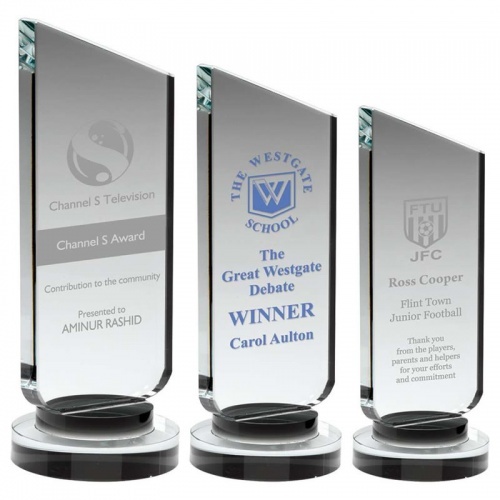 These clean, modern design awards plaques are available in three sizes.